Choosing a swimming pool conractor for your home pool project is as big a deal as if you were choosing a contractor to build your home! For many people the construction of a swimming pool is one of the biggest investments they will ever make! We have put together a checklist of 5 tips for choosing a pool contractor that will help you when you are in the beginning stages of the pool research. There are many things that need to be considered when looking for a pool contractor, not the least of which is how much experience he has and the type of projects he’s completed in the past. You can certainly turn to the internet for your initial search for “swimming pool contractors near me.” This will narrow down some of your choices, but that doesn’t mean you have to hire a pool contractor within a ten mile radius of where you live. If you find a contractor who is further far afield, ask how far they travel for projects and if you’re too far away, ask if they have any recommendations of a pool contractor in your vicinity. Ask friends and family for referrals. If you have friends or family who have a swimming pool ask who they used and whether they’d recommend them. If not, why not. If so, what made them great? If you know what type building material you want — concrete, fiberglass, vinyl liner — look for a pool contractor experienced in the type you want. If you aren’t certain what material you want, speak with a few contractors and get insight into the various construction material types. Ask potential contractors for contact information for customers they’ve done work for in the past. Get in touch with those people to see if they’d recommend your potential contractor. Ask what was great about him and ask what things they wish they’d known before. Talk with at least three contractors and have them come to your home to give you an estimate and talk about your potential swimming pool project. 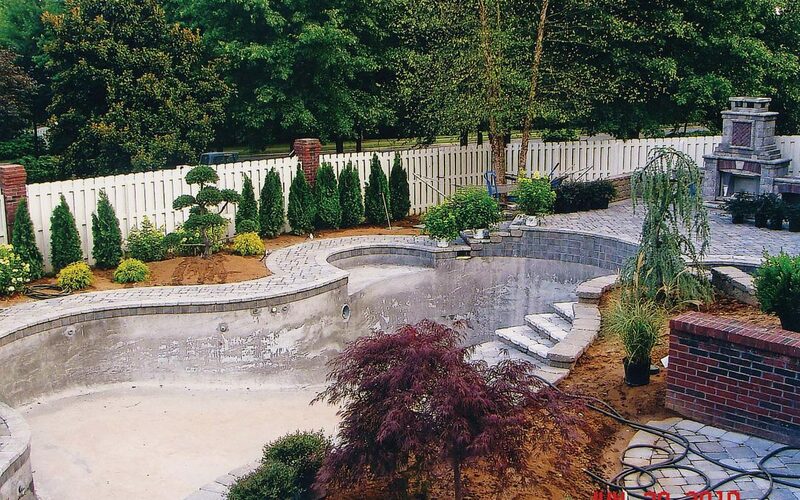 The contractor will look at the space you have available and will talk with you about your budget and let you know what kind of pool you can get with what you have budgeted for the project. What special training has your contractor undertaken? Are they specialists in a particular area of construction or pool maintenance? Will they subcontract the project out to others or will they do the work themselves. You may find the electrical and plumbing work are contracted out, and this isn’t a deal breaker, it’s just good for you to know. Any potential swimming pool contractor should give you a written contract that breaks down not only the total price of the project, but the individual prices of the particular pieces of equipment that will go in the pool. Those pieces of equipment are the pump, the filter, the heater among others. You won’t want to skimp on quality because energy efficient equipment may cost you more up front, but will save you money in the long-term. Don’t work with a contractor who requires the entire payment up front. A contractor will typically require a down payment in order for them to secure your place on their construction calendar and to begin purchasing the materials needed for your project. Bottom line: Trust your intuition. Work with someone who answers your questions, who has a presence in your area and with whom you received great references from past, satisfied customers.